Catherine received her BSN from West Suburban College of Nursing outside of Chicago. She moved to CA with her young family in 1994 and began her nursing career here. She spent many hour volunteering at school and in the community as the RN onsite and helping people understand their diagnoses and the healthcare system. From floor nursing she moved to home health to enable more flexibility at home and to spend more time with her children. Catherine had her first back surgery when she was 35 and her second at 45. After her second surgery she felt she could no longer continue home health due to her chronic pain. She graduated from Samuel Merritt University in Oakland with her MSN. She loved working in the Urgent care, but she saw many patients coming in with mismanaged chronic pain. 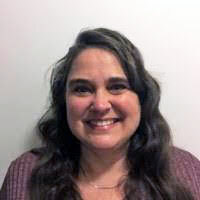 She joins the staff at Allied Pain and Spine bringing her personal experience along with her education and expertise. Catherine feels that attitude is as important as medication and that patients need to be empowered to participate in their pain management decisions. Chronic pain does not mean the end of enjoying life, or “living on pills”. Instead it opens us up to new ways of understanding our bodies and how they work.